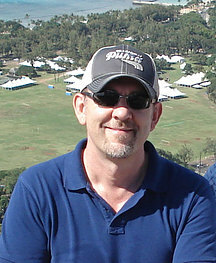 George Gillies is VP of Operations at Insightlink Communications in Pasadena, CA. Insightlink Communications is a research and consulting company specializing in employee surveys. In his position at Insightlink Communications George is responsible for the design and development of Insightlink's proprietary survey systems and software. Since 2001 George Gillies has contributed to much of the company's success and growth through the ongoing development of new survey services and online reporting tools. Other services George Gillies has designed and created for Insightlink include the 4Cs Employee Survey, Insightlink360 a multi-rater type assessment tool, and InsightExit for Employee Exit Interviews. Design & implementation of custom online survey solutions mostly for HR professionals. Developer of the Insightlink 4Cs Employee Opinion Survey as well as online Exit surveys, Recruiting effectiveness surveys, training needs, 360 Surveys, Customer Satisfaction and much more. We specialize in employee opinion and engagement surveys. In the past 11 years we've developed and marketed the Insightlink 4Cs Employee Survey, a fully validated and benchmarked tool that is being used by hundreds of organizations worldwide very successfully. This employee survey has been translated into some 30 languages and deployed in as many countries. We have also developed InsightEXIT a similarly benchmarked tool for conducting online exit interviews. We've been doing exit surveys with such companies as Northwest Airlines, Verizon Wireless, Cushman & Wakefield and NYSE since 2003. In 2012 we launched Insightlink360, an easy-to-use yet very powerful tool for conducting employee 360 degree assessments. Web development, web site traffic growth, web site UI and graphic design. Webmaster. One of Canada's first Interactive Agencies. Web development projects for Royal Bank of Canada, Sprint Canada, 3M.